Democrats appeared even more resolved to conduct oversight of his administration and legislate on their priorities. 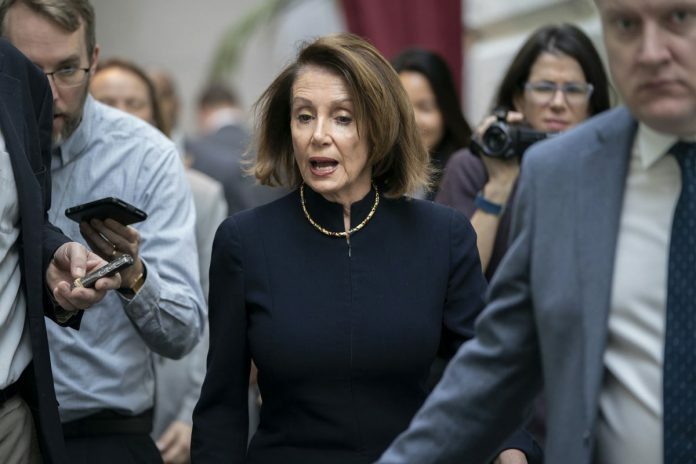 Pelosi said Congress has a responsibility to provide oversight, under the Constitution’s system of checks and balances. President Donald Trump warned Congress that investigations and legislation don’t mix. But Speaker Nancy Pelosi said such threats have no place in the House, as unbowed Democrats charged ahead with plans to probe Trump’s tax returns, business and ties to Russia. It goes beyond oversight of Trump’s administration and Russian election interference to the bread-and-butter issues of jobs, health care and the economy that propelled them to the House majority. Pelosi said they still hope to work with the White House on shared priorities, particularly on lowering prescription drug costs and investing in infrastructure.